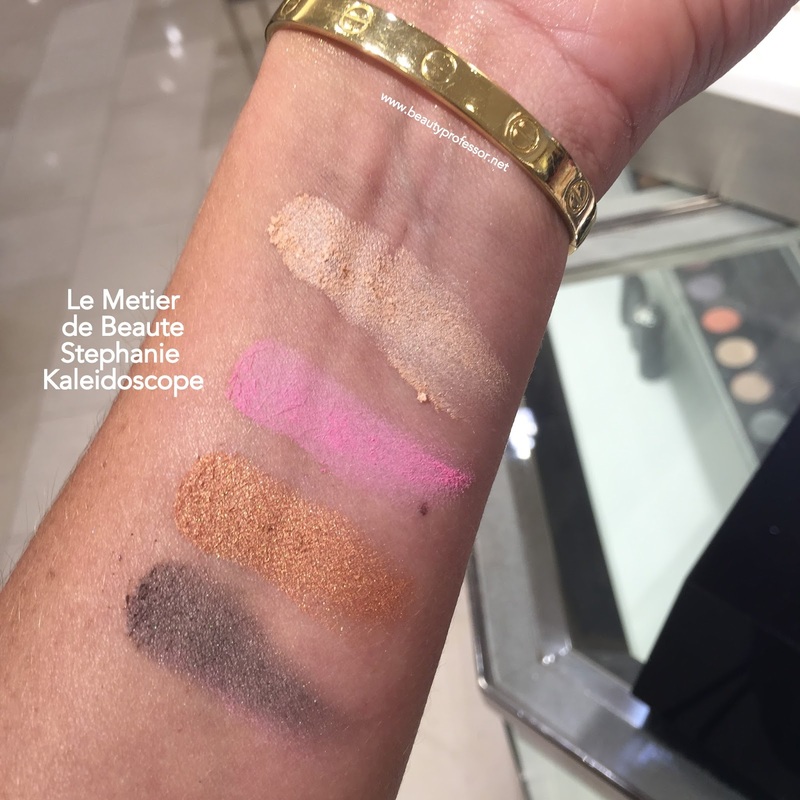 Above: The LE Le Metier de Beaute Stephanie Kaleidoscope. October marks the arrival of many things...fall weather, pumpkin everything and, most poignantly, Breast Cancer Awareness month. In honor of this important cause, Le Metier de Beaute and Neiman Marcus have teamed up with the inspirational Stephanie Seban to create the Stephanie Kaleidoscope, with proceeds going to The Susan G. Komen Breast Cancer Research Fund. Addtionally, two Pink Parties, hosted by Le Metier de Beaute and featuring both the kaleidoscope and a personal appearance by Stephanie, will take place this week at Neiman Marcus Beverly Hills (on 10/8 from 6-8PM) and Neiman Marcus Fashion Island (on 10/9 from 12-5PM)...Southern California locals, you will not want to miss this! Beauty Professor: How would you describe your story? Stephanie Seban: "I was diagnosed with breast cancer at 31; I had no family history of breast cancer, was living in LA and working as a teacher. Although I started treatment right away, the doctors eventually told me that the cancer had spread. I moved back east for more treatment and even though I was never actually in remission, I found myself smooth sailing for a few years. Then, cancer returned a year ago; I began treatment again but we found that the treatment wasn't seeming to work. I sought a second opinion because the nature of one's cancer can change. My doctor biopsied me for a different type of cancer and discovered that I had been treated for the wrong cancer from the start, four years ago, which explained why it wasn't responding to treatment. In December, I came home to LA to be with family and a new doctor; although I am told I am at a stage where a cure is not in sight, this is the hand that I was dealt and I believe in miracles." BP: What have been the physical effects of breast cancer for you personally? SS: "Thankfully, my body has been resilient; from the outside, no one would guess what I’m going through, however, I struggle with self-consciousness, especially when it comes to my breasts. The physical changes over the past few years have required wardrobe adjustments and certainly the disease takes a toll on me mentally." BP: To what do you attribute your incredible strength in the face of this immense challenge? SS: "Faith is all that you have...it's between you and God. Going through something like this, I could either lose my faith or let my situation strengthen it. I believe that through faith all things are possible...faith is stronger than my disease." BP: What do you want women, and people in general, to know about breast cancer? SS: "I didn’t see my life going this way and I would like women to know that breast cancer doesn’t just affect women of a certain age. The disease doesn’t discriminate. I would like to raise awareness for the younger woman struggling with cancer; if you sense something is off, follow your intuition and get checked out." SS: "I begin each day with gratitude; I go through my thank you’s and blessings...I can see, I can hear, I can walk. I also try to be as active as possible and love hiking and going to the gym. I write a lot (See Stephanie's blog HERE) and try to busy myself. I focus a great deal on raising cancer awareness and also spend a significant amount of time in prayer. BP: How did the Stephanie Kaleidoscope come to fruition? 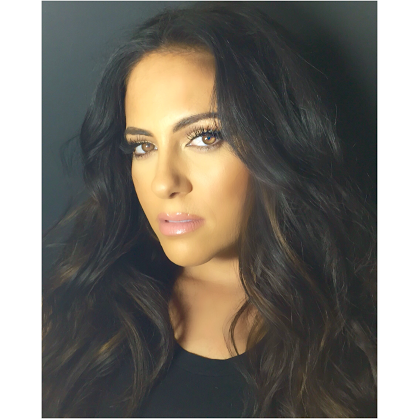 SS: I met Monica Gallegos (currently the Senior VP of Sales for LMdB) back when I worked at Neiman Marcus Beverly Hills for six years during college. We became friends and stayed in touch. Earlier this year, she approached me about doing a breast cancer awareness project. She filmed me talking about my journey with breast cancer and presented our video and proposal at the Neiman Marcus Conclave. It was truly a grass roots effort but we received a standing ovation! Shortly thereafter, we received the green light from Neiman Marcus and the product was created. BP: What have been some key takeaways for you over the past four years? SS: "Every day is a precious gift; we’re often so busy that we forget to wake up and see each day as a gift. People think that they’re invincible (I know I did)--they get lost in their day to day and don't always appreciate the beauty around them. Appreciate your health...when you have your health, you may still have 100 problems, but when you don't have your health, you just have one major problem and everything else seems inconsequential. I've realized how important it is to have a spirit of gratitude and I don’t sweat the small things because tomorrow isn't promised to any of us." BP: Is there anyone you would like to acknowledge as we close this interview? SS: "I have had so many angels of support in my life but I have to mention my mom, who has been my backbone and strength. Also, I'd like to thank Monica Gallegos from Le Metier de Beaute for bringing this project to life." Above: A lovely fusion of beauty and awareness. **Updated swatches as of 10/19/15 below! Above: Swatches of the Stephanie Kaleidoscope in indoor lighting. Designed specifically for Stephanie Seban, the “Stephanie” Kaleidoscope offers four eye shadow shades designed to brighten and illuminate every complexion. Representing the cause, the limited-edition pink packaging offers a fresh look to Le Métier de Beauté’s cult favorite Kaleidoscope kits and features a unique stacking system to house four shades that can be worn alone or blended together for an incomparable result. The “Stephanie” Kaleidoscope features: Light, Heart, Hope, Live (top to bottom) and will be available at Neiman Marcus and NemianMarcus.com throughout the month of October for $95. “Stephanie” Kaleidoscope contributes to the cause with not only love from Le Métier, but with a donation of 30% of the total Kaleidoscope sales to theSusan G. Komen for the Cure during the month of October. Above: The Stephanie Kaleidoscope is limited-edition. On Thursday October 8th, from 6PM-8PM, Neiman Marcus Beverly Hills will be celebrating the introduction of the Stephanie Kaleidoscope with proceeds going to Susan G. Komen for the Cure. Stephanie will be on hand to share her story and why she is so passionate about this cause in hopes to spread awareness and Hylton Lea, Global Director of Skin Care, Le Métier de Beauté National Esthetician Anastasia Feklova will be on hand for consultations and brand introductions. LMdB will be hosting a cocktail party with cake, make-up and skin consultations and photo opportunities with the special guests! 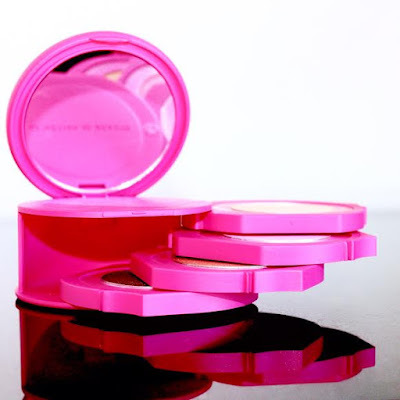 On Friday October 9th, from 12 PM-5PM, Neiman Marcus Fashion Island + Le Metier de Beaute will be hosting a "Pink Party" at Cosmetics, Level One. Stephanie Seban will be on hand from 12PM-2PM for a meet and greet and there will be Pink Sips and Casey's Cupcakes! Neiman Marcus Fashion Island PR Director Cheresse Pentella also confirmed that the 30% of all proceeds will stay in the local community, with a donation to the Orange County chapter of the Breast Cancer Research Fund! RSVP to (949) 467-3338. I truly hope you can attend one or both of these inspiring events! 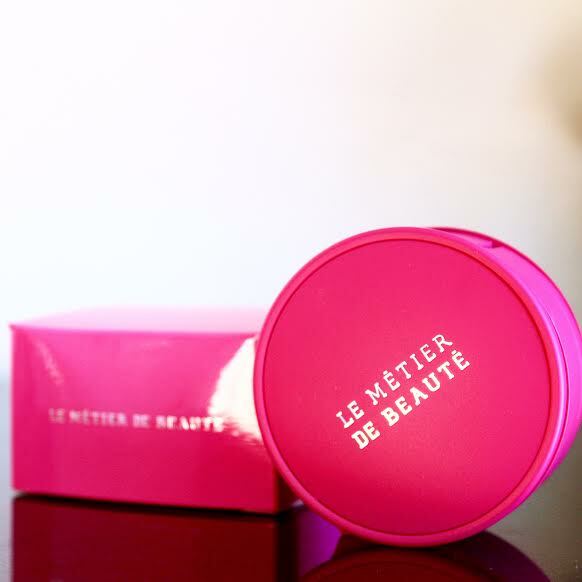 Bottom Line: The Le Metier de Beaute Stephanie Kaleidoscope is a such a lovely expression of beauty and awareness. I hope you enjoyed my interview with Stephanie and I wholeheartedly encourage you to attend one of the Neiman Marcus + LMdB Pink Party events this week should you be in the Southern California area. 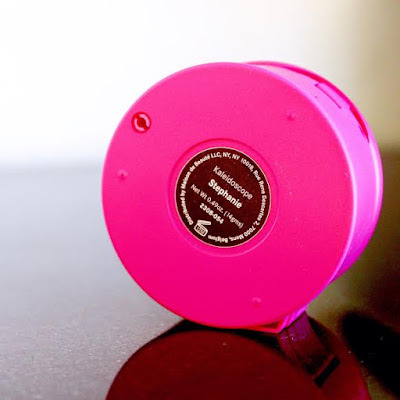 If you are unable to attend, consider adding the Stephanie Kaleidoscope, available for a limited time on the Neiman Marcus site, to your beauty collection; it's such a worthy cause and a beautiful and pragmatic tribute to the 1 in 8 women who will be diagnosed with breast cancer in their lifetime. Good things ahead, including new green beauty, a fresh Birchbox release and a host of new fall procurements...hope your week is going well! This is a wonderful item to feature and Stephanie is truly an inspiration! Thanks and I completely agree! Great post indeed! Its so inspirational. Hope to see more posts like this one. Many thanks to you, Susie...appreciate the kind feedback! Thank you for featuring the concept of beauty, both externally and internally. Stephanie is just one of many women who redefine what it means to truly be beautiful. 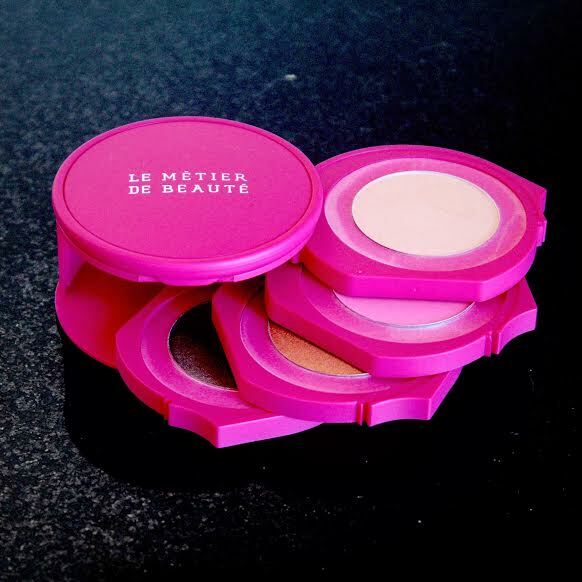 Strength, courage, gratitude, faith, bravery and a dash of Le Metier de Beaute! It's my true pleasure, HKWC! You summarize the loveliness that is Stephanie beautifully and I am so happy that she partnered with Le Metier de Beaute on this kaleidoscope!